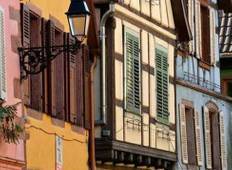 Find the right tour for you through Obernai. We've got 11 tours going to Obernai, starting from just 4 days in length, and the longest tour is 8 days. The most popular month to go is June, which has the most number of tour departures. "Summer hiking holiday in France, it rained, still enjoyed every minute! 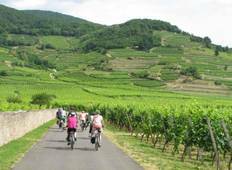 Route was..."
"I have done 5 different tours with Chaingang and have truly enjoyed each and every..."
"Our hiking trip to the Alsace area of France was our second with Discover France...."
"Everything about a Chain Gang Cycle Trip is fantastic from start to finish. They..."